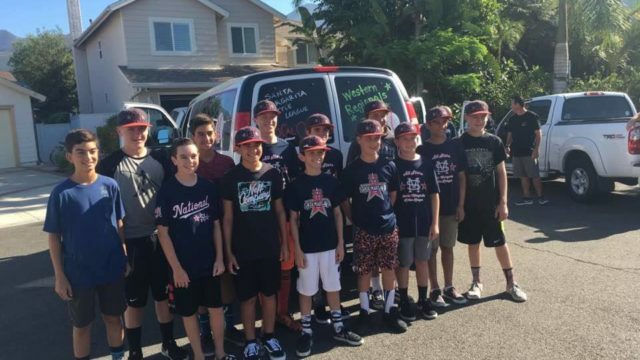 The all-star team from the Santa Margarita National Little League was eliminated from the Little League World Series with a 12-9 loss to its counterpart from the Holbrook Little League. Rancho Santa Margarita-based Santa Margarita trailed 12-1 in the top of the third inningMonday, then scored five runs in its half of the third. Drew Rutter doubled in two runs with no outs in the bottom of the sixth and final inning, cutting the deficit to 12-8. Joey Gray’s single advanced Rutter to third, leaving Santa Margarita one runner away from sending the tying run to the plate. However, the next batter, Mason Kellerman hit into a double play, with Rutter scoring. A.J. Gamulao grounded out to end the game in the modified double-elimination tournament at South Williamsport, Pennsylvania. Holbrook, the Mid-Atlantic Region champion, will face the all-star team from Connecticut’s Fairfield American Little League, Tuesday in an elimination game. Fairfield defeated the Northwest Region champion, the Walla Walla Valley all-stars, 14-6, later Monday. Santa Margarita was 17-0 in its five tournaments before Sunday’s 16-0 loss to the all-star team from North Carolina’s North State Little League, the Southeast Region champion. Santa Margarita took a 1-0 lead Monday. Tyler Ankrum singled leading off the bottom of the first, moved to second on a wild pitch by Garrett Drew and advanced to third on catcher J.R. Osmond’s throwing area. Ankrum scored two pitches later on a second wild pitch by Drew. Jackson, New Jersey-based Holbrook scored three times in the bottom of the second. R.J. Vashey homered with one out and Charlie Meglio hit a two-run homer two batters later. Holbrook combined six singles, two doubles, Vashey’s two-run homer, a Santa Margarita error, a sacrifice fly and a wild pitch for nine runs in the third. Holbrook got 15 hits off Gray, who allowed 12 runs, five earned, in the first 4 1/3 innings. Tommy Woods shut out Holbrook on one hit over the final 1 2/3 innings. Santa Margarita got 11 hits off three Holbrook pitchers, including two each by Ankrum, Rutter, Gray and Gamulao. Chris Cartnick, the last of Holbrook’s three pitchers, was credited with the victory, allowing three runs, all earned, and three hits, striking out three and walking one over 3 1/3 innings. 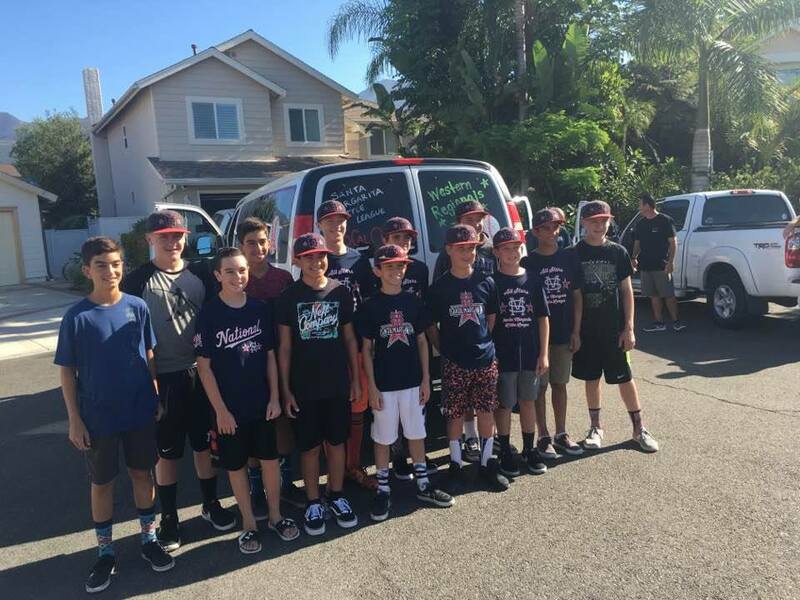 Santa Margarita was the eighth Orange County team to advance to the Little League World Series and the first since 2011 when the all-star team from Huntington Beach’s Ocean View Little League went on to become the first team from the county to win the world championship.